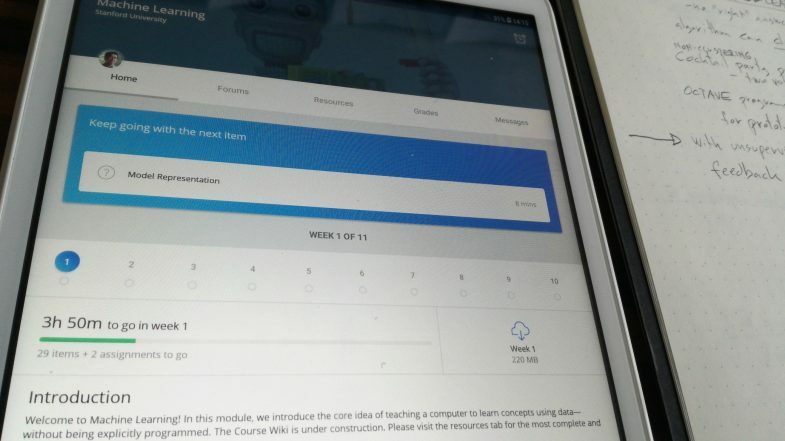 Yesterday I went through some basic introductory parts of the Machine Learning course at Coursera. 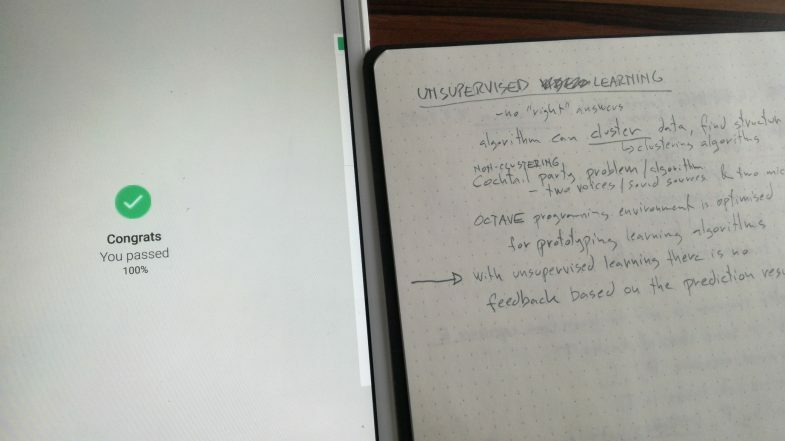 Learned about unsupervised and supervised learning, classification and regression ML problems, clustering and non-clustering problems. There’s a lot left to do in the week 1 and I’m not sure if I’ll be able to finish that one till tomorrow. These deadlines can be extended as needed though. So today I continued. Did another two or three hours on the course. It’s getting challenging in terms of math. I’ve never done that level of math, so it feels like covering a lot of new ground here, but so far I seem to understand enough. I also need to remind myself, that machine learning is just one of the areas that fall under A.I. umbrella. I actually searched further on MOOCs – especially Coursera and edX on subjects about A.I., programming and music. And there’s a lot I want to learn… and so little time, it seems. There’s more books I want to read. I want to do too many things in parallel.